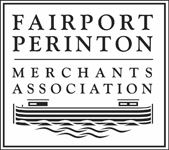 As a member benefit you can purchase a booth at Fairport Oktoberfest at an 80% discount. For your $100 you can have presence in front of thousands who attend this growing festival each year. Now in our sixth year, Fairport Oktoberfest has grown at a rate of more than 30% each year, putting us on par with the largest Oktoberfests in New York State. Nearly 5,000 people attended last year, 80% coming from within 5 miles of Fairport. Of those attending, 35% of attendees claim an average household income of over $100,000 annually. Clearly, Fairport Oktoberfest has become another Fairport festival tradition, one that gives your business great exposure to an affluent local audience. Please see our Merchant Application to apply.